Comic Conventions, which now encompass not just comics or even just sci-fi/fantasy but all of popular culture and lively arts, are thrilling but even the hardiest adults can find them overwhelming. Now there’s a Kid Kon just for children and their families, at the Pasadena Convention Center June 10-11, 2017, and it even has a quiet room (San Diego Comic-Con, take note); a special place for parents with babies and toddlers to chill out. There is a princess party, a superhero gathering, Jedi training, a superhero bash, and yoga for children. Special guests include “Yo Gabba Gabba’s” DJ Lance Rock! The goal of Kid Kon is to throw the biggest fandom party any kid has ever seen, celebrating the popular arts like comic books, movies, books, video games, and tv shows that kids are rabid fans of, and giving them a once in a lifetime chance to meet their favorite celebrities in person. 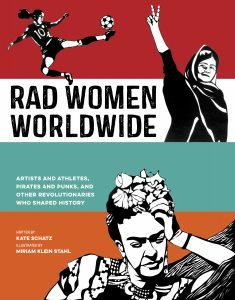 The author and illustrator behind the terrific Rad American Women A-Z have a terrific new book featuring women from around the world. 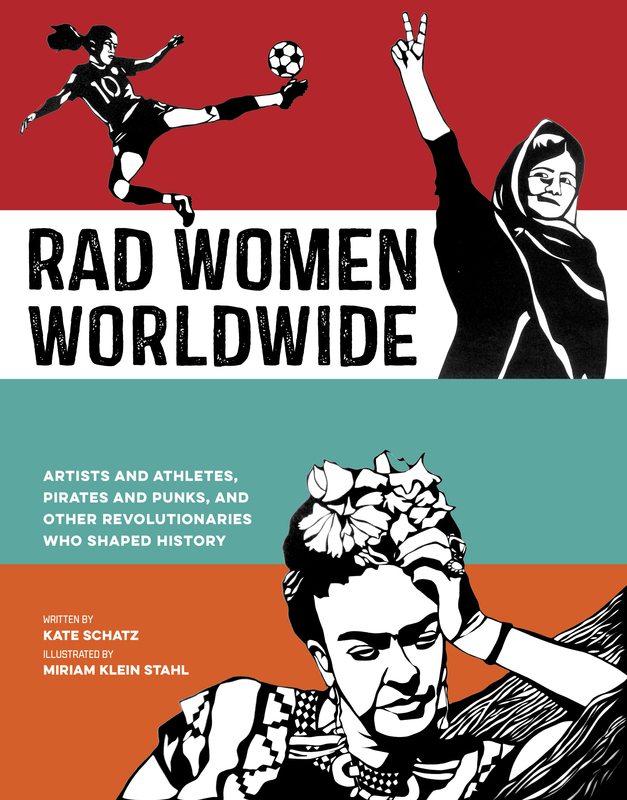 Kate Schatz and Miriam Klein Stahl have selected a fabulous collection of women who challenged injustice, solved problems, and created art that inspires. They range from sea captain Grace “Granuaile” O’Malley to electrifying dancer/nightclub owner Josephine Baker, scholar-nun Sor Juana Ines de la Cruz and protester against the Nazis Sophie Scholl. There are familiar names like Malala Yousafzai and the tennis champions Venus and Serena Williams and lesser-known women like Princess Sophia Duleep Singh, who fought to get women in India the right to vote and the Quintreman Sisters, who advocate for environmental protection in Chile. The thoughtful, insightful mini-biographies, the courage and curiosity and determination of the wonderfully diverse women, and the striking woodcut illustrations will captivate young readers and lead them to read more about science, human rights, and to think about the “rad” projects they can pursue as well. Previous PostPrevious Television Makes Comedies About…Death? The creators of the “Air Bud” and “Air Buddies” films are proud to announce their newest dog-filled film, “Pup Star,” a canine spin on America’s hit TV singing competitions. The film is has 13 original songs and includes voice talent from the top music icons Ziggy Marley and Juicy J. It’s available now via Fandango.